Unique Travel UK LTD was founded in 1998 and has been supplying quality worldwide discount airfare services to the general public and offices. 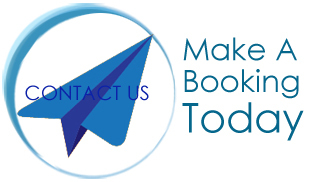 Based in South London we provide one to one personal service often missing when making your travel arrangement today. Whether your booking is for the long awaited flight home to Africa, the Caribbean, Asia or a beach holiday to The Gambia , Majorca, The Bahamas or a romantic weekend away in Paris you can be sure that our experienced staff will do their very best to ensure you professional service and value for money flight deal. We are located at the Peckham Rye Train station with close proximity to buses on the Rye Lane. Call us or just pop in for a quick chat and you will not be disappointed. We are number one Africa low fare specialist. Try us also to Asia, Australia, Europe, The Caribbean Islands, Latin America and USA. When you plan to travel, please let us take the burden of finding the lowest fares from you. At certain times in the year we have many special fares available on Worldwide destinations. These include fantastic prices on charter flights to Africa from gbp459.00 per person. protected, where you can get information on what this means for you and who to contact if things go wrong. alternative ATOL holder, in which case you will be entitled to make a claim under the ATOL scheme (or your credit card issuer where applicable).